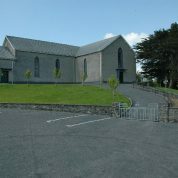 Little is known of the history of Our Lady of the Wayside Church at Inch beyond the fact that is also built by Fr. Lynch, in 1833. 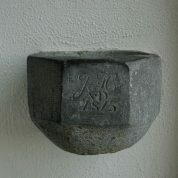 It contains a holy water font transferred from the previous ‘interim’ chapel, which is inscribed with the date 1813. 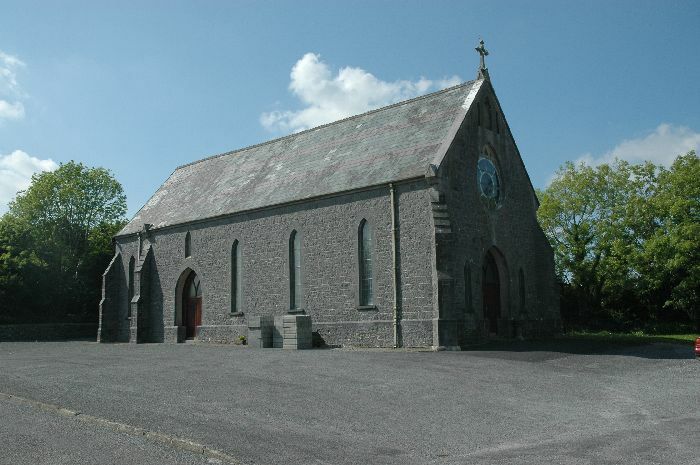 The church was badly damaged in the great storm of 1903. 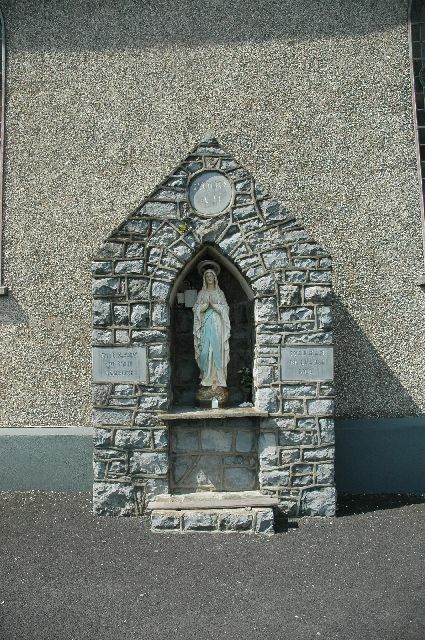 The Grotto near the church is one of a number of projects undertaken by the parishioners of Inch, Kilmaley and Connolly to mark the millennium year of 2000 A.D.
Before the present parish church at Kilmaley was built, mass was said at a thatched mud-floored church near Kilmaley Bridge. 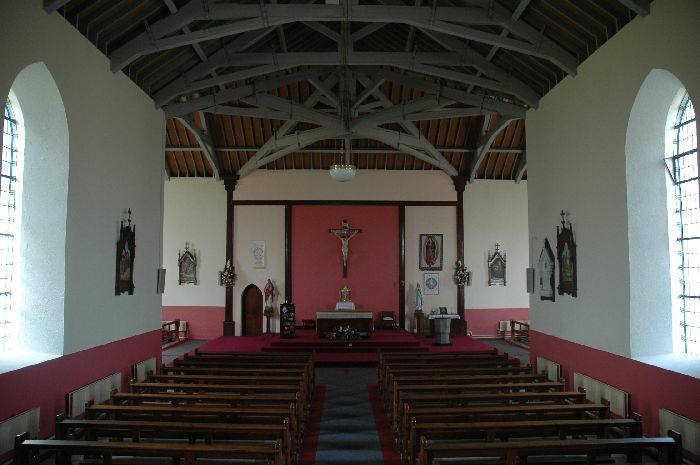 Parish tradition has it that today’s Church of St. John the Baptist was built in 1844, which is in accordance with the physical appearance of this large cruciform structure. 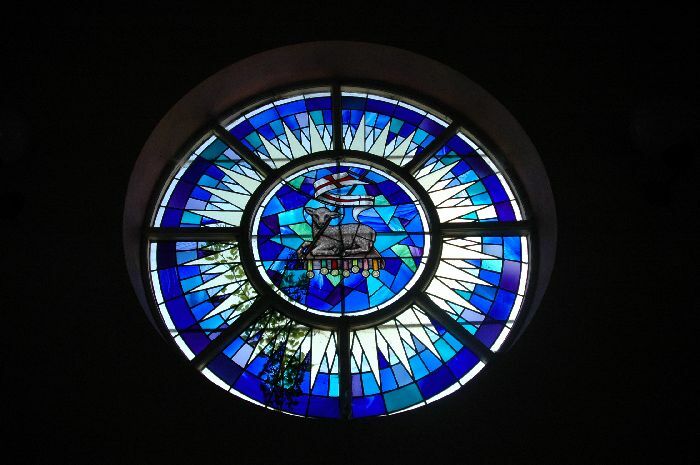 We do know that the church was built during the pastorate of Fr. 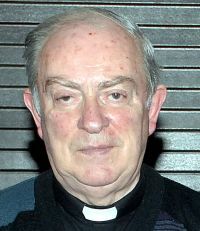 Daniel Lynch, who for several decades openly participated in political agitation, very much against the wishes of the diocesan authorities. Typical of his forceful character was an attempt made in 1834 to have the fair at Connolly suppressed because it was the occasion of ‘drunkenness, rioting and insubordination.’ In evidence given before magistrates Fr. Lynch declared that the previous fair-day only one cow was sold while whiskey was for sale in no fewer than eighteen tents. 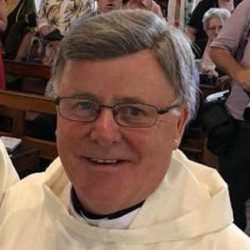 He hastened to absolve his own parishioners from any involvement, and placed the blame for all the trouble on outsiders from Kilmurry Ibrickane and Inagh! The fair continued. 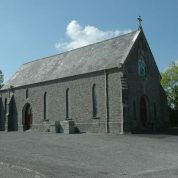 Kilmaley Church was one of the earliest parishes in which alterations were made in line with Vatican 11 liturgical reforms. 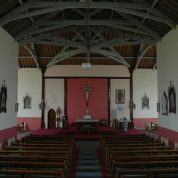 These were included in a major refurbishment in 1967, when the porch and the right transept was removed and a new entrance was made in the gable. 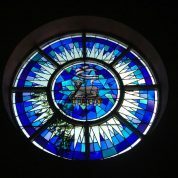 In addition to heating and lighting improvements, a large front porch replaced the smaller one at the front entranceway and the belfry was taken down. 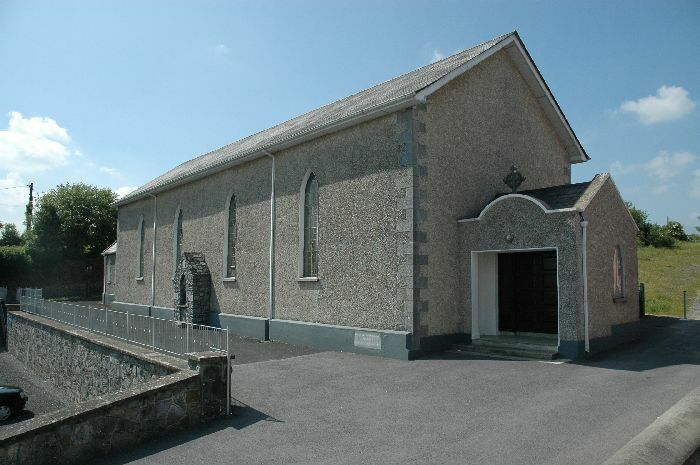 A mortuary, baptistery, confessionals and choir room was provided, all to plans drawn up by W.F. 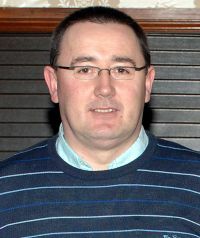 Judge of Ennis. 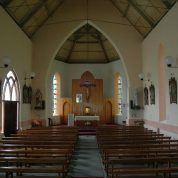 Today the dominant feature of the church is the large Millennium Frieze, by artist Peadar McNamara, a striking representation, in new material called jesomite, of different scenes from the history of the parish. 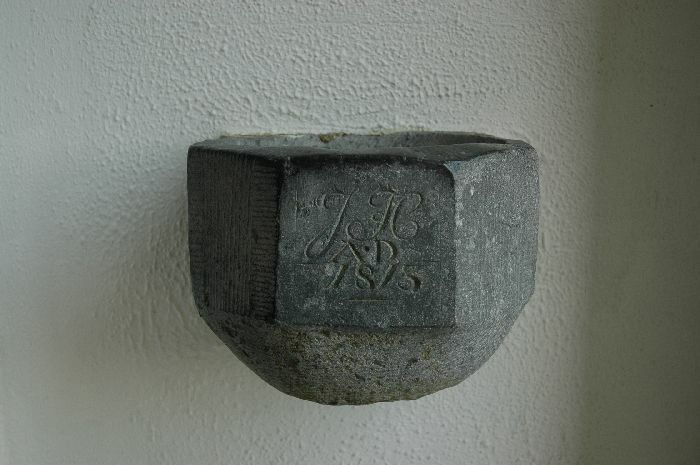 The work was unveiled in 2005. 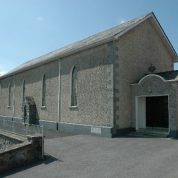 The rectangular church at Connolly was built in 1880 by Fr. Michael Burke, P.P., replacing an older dilapidated building on the same site. 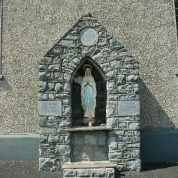 Much of the fundraising for the building was done among exiles in the United States by the curate, Fr. 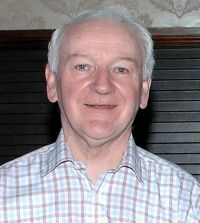 James Halpin. 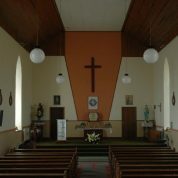 For a considerable time, insufficient money was available for seating, which was eventually provided by reserving all pews for individual family donors. 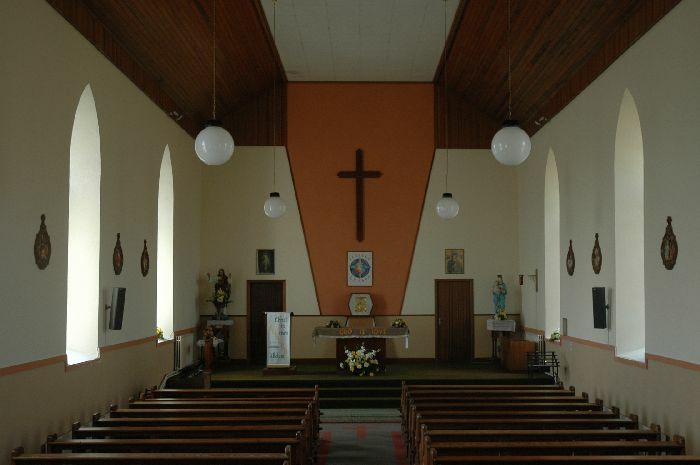 In 1957 the church had to be renovated after severe damage in a storm. 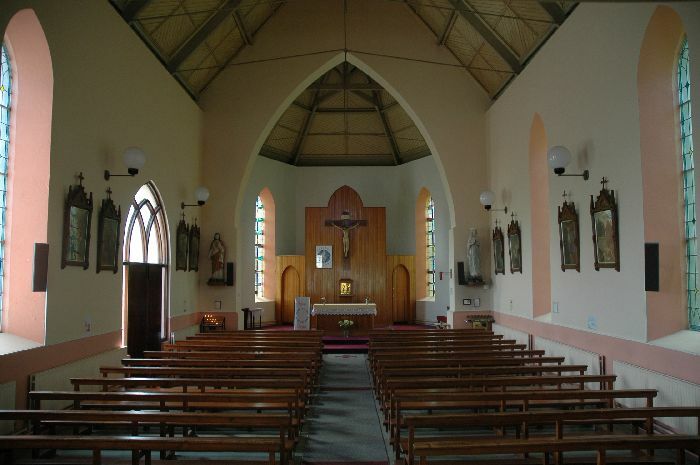 When the practice of reserved seating was eventually ended, there were reports of parishioners with family seats in the church for generations bringing their pews home with them.Fr. 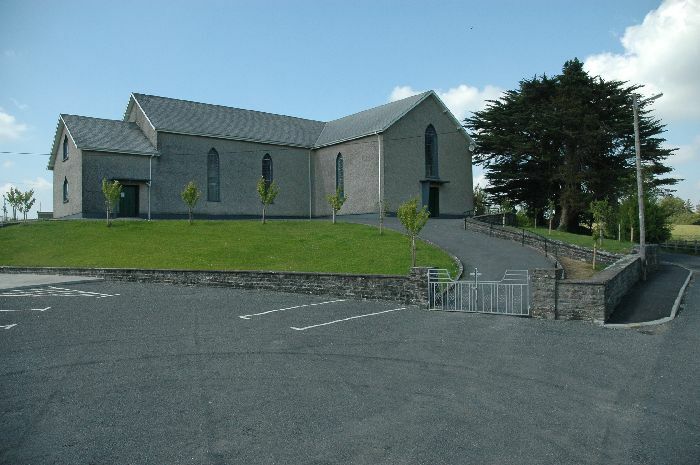 Sylvester Malone, well known in the nineteenth century for his A Church History of Ireland, was a native of Boulnagleragh, Kilmaley.